On Saturday, the Jackets (9-6, 0-3) traveled to Winston Salem, NC to take on Wake Forest (9-8, 1-3) and to try and recover from two tough losses to open up their ACC slate. The Jackets had won their previous four games against the Demon Deacons and were looking to use this as a launching pad for the rest of their conference schedule. Tech started the game strong and the first 10 minutes of the first half were back and forth, but even though the game was always close, Tech was never in control. They led for only 4:45 throughout the entire game and after the 11-minute mark of the first half they never held the lead again. 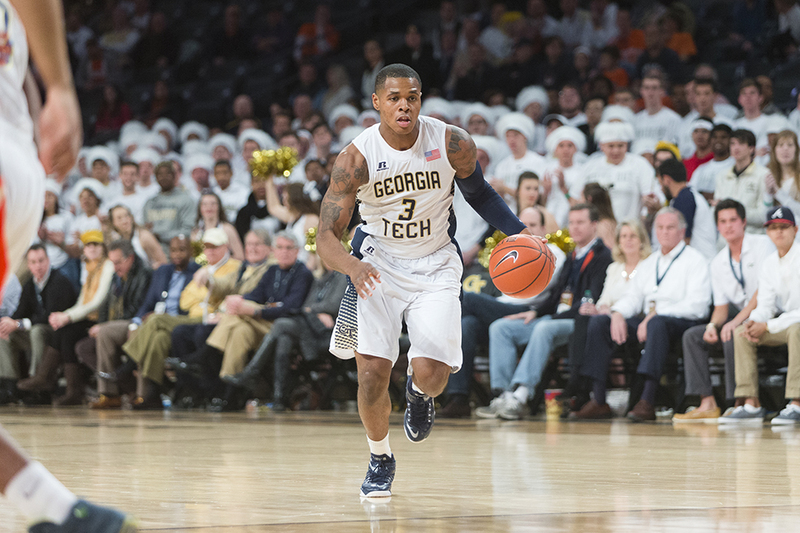 After going into the half down 5, 34-29, Tech kept it close for much of the second half, and were led by junior Marcus Georges-Hunt and his 16 points, all of which came in the second half. Tech cut Wake Forest’s lead to within three at both the under 12 minute timeout and the under 4 minute timeout, but the clutch free throw shooting by Wake and the inability of the Jackets to hit shots as the game came to a close, kept the Jackets from completing the comeback, as they fell to the Demon Deacons 76-69. Wake Forest controlled the boards, out rebounding Tech 41-29, the first time Tech had been out rebounded this season.This limited the Jackets’ offensive opportunities and helped to give the Demon Deacons the edge they needed to come away with the win. Senior Demarco Cox chipped in with 14 points and a team leading 7 rebounds and although the Jackets had their 2nd best offensive game of the year, shooting 45.9% from the field, it was not enough, as this also would go down as their 2nd worst defensive effort of the year, as they allowed Wake Forest to shoot nearly 50% from the floor. With the loss the Jackets have now lost their first three ACC games in two of the last three years, and will return to the court Wednesday night at McCamish pavilion looking for their first ACC win. They will take on the twelfth ranked Notre Dame Fighting Irish, who beat the Jackets 83-76 in double overtime on January 3rd.